The CCPDT is governed by a Board of Directors that consists of no more than twelve and no less than seven directors. Mandatory positions include President, Vice President, Secretary, Treasurer, and Public Member. All board members have voting privileges. Because we are a credentialing organization, not a membership organization, board members aren’t elected by the certificants, but rather by the current board. Instead we issue a call for nominations to fill any vacant seats on the board of directors once every year (or more often, if needed). Interested candidates submit a letter indicating why they would like to be considered for a board seat, and include information about their professional background. All candidates are then interviewed by the CCPDT Executive Director with questions created by the CCPDT Nominations Committee. Finally, the CCPDT board votes on the candidates based on all the available information. Look out for the annual call for board members. We announce it in our newsletter, on social media channels, and post it on our website. But serving on the board is not the only opportunity to get involved with the CCPDT. If you would like to grow your professional network and give back to the profession, we are always looking to expand our energetic team of volunteers. Learn how you can contribute. Ruth LaRocque is a highly experienced dog trainer and animal behaviorist, specializing in the addressing pet fear and aggression issues in family situations. Ruth hold both the CPDT-KA™ and CBCC-KA™ certifications and joined the CCPDT Board in 2013. She was elected President in 2018 and has served as Treasurer since 2014. 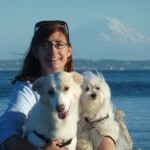 Ruth owns Seattle Pet Pals LLC with her partner and provides private, in-home behavior consulting and training services for dogs, cats and other family pets in the Seattle and greater Puget Sound areas of the Pacific Northwest. In addition to her CCPDT certifications, she is a graduate of Jean Donaldson’s Dog Trainer Academy, a professional member of the Association of Pet Dog Trainers, and a graduate of the Karen Pryor Academy. Ruth is a presenter for the internationally recognized Family Paws’ Dogs and Storks program for new and expecting families with dogs, as well as the Dog and Baby Connection program. Ruth completed a Bachelor of Science degree from the University of Wisconsin-Madison with an emphasis in pre-vet studies. When she is not helping to build successful relationships between pet dogs and their human families, she and her border collie compete in agility, qualifying for the USDAA nationals in 2016. She and her partner Tim currently share their home with Sugar (Husky mix), Daisy (Maltese), Seven (Border Collie), and Romeo (beagle). Amanda Kowalski is the Research Project and Event Coordinator for the Center for Animals and Public Policy and Center for Shelter Dogs at the Cummings School of Veterinary Medicine at Tufts University. Amanda Kowalski is the Research Project and Event Coordinator for the Center for Animals and Public Policy and Center for Shelter Dogs at the Cummings School of Veterinary Medicine at Tufts University. Amanda is engaged in research that has the potential to vastly improve canine and feline welfare and save the lives of shelter animals. She recently completed her Masters of Science in Animals and Public Policy at the Cummings School and she chairs the CEU and Legislative Committees for CCPDT. Amanda also owns a dog training business, The Scholarly Canine. Prior to moving to Massachusetts, Amanda had worked for multiple animal welfare organizations working towards improving the behavioral health of shelter animals. 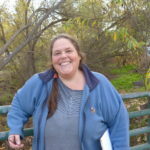 As the Manager of Behavior and Training at the San Diego Humane Society and SPCA, Amanda worked to develop and implement community based programming, a shelter animal training program, a volunteer behavior program, and a behavior center. She has also provided testimony on public policies affecting animal welfare and volunteers with the MSPCA’s Animal Action Team. Amanda strives to positively impact the animal welfare and dog training field through community engagement and collaboration, as well as through her professional and academic endeavors. Amanda currently lives in the Boston, MA area. Carol Hutelmyer is a Professional Nurse and dog owner. As the owner of a certified therapy dog, she is keenly aware of the value of dog training and of the need for qualified professional dog trainers. Carol Hutelmyer is a Professional Nurse and dog owner. Over her long nursing career, Carol learned the value of dogs in providing patients with companionship and stress reduction. 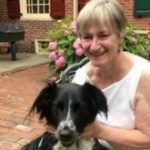 After retiring in 2008, Carol and her Border Collie/Lab mix Pippin became certified in Animal Assisted Therapy and volunteered in a wide range of settings. Her 3-year old Border collie/Lab mix named Bella was recently certified as a therapy dog and they are currently volunteering at a day care center for seniors. From her own experiences as a dog owner, Carol is keenly aware of the value of dog training and of the need to provide owners a way to find and choose qualified professional dog trainers. Carol holds BS in Nursing from Georgetown University and a MS in Nursing from the University of Pennsylvania. She and Bella live in Philadelphia, PA.
James Crosby has professionally trained dogs, taught individual and group obedience classes, and addressed canine behavior problems since 1999. He teaches safe handling, evaluation and rehabilitation of dangerous dogs and the investigation of fatal and serious dog attacks throughout the US, Canada, Italy, the UK, Poland and Australia. James Crosby has professionally trained dogs, taught individual and group obedience classes, and addressed canine behavior problems since 1999. He teaches safe handling, evaluation and rehabilitation of dangerous dogs and the investigation of fatal and serious dog attacks to police, animal control agencies and others across the US, Canada, Italy, the UK, Poland and Australia. Jim is recognized in and out of court in the US and Canada as an expert on dangerous dogs, canine aggression, fatal dog attacks, and related issues. He has personally investigated over 20 fatal dog attacks on humans and has physically and behaviorally evaluated over 40 dogs involved post-attack. Jim served as chair of the review committee addressing dangerous dog procedures and processes for the government of the Australian Capital Territory in 2017/2018. 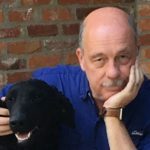 He authored two chapters in the textbook Dog Bites: A Multidisciplinary Approach and writes the dog aggression blog “Canine Aggression Issues with Jim Crosby”. Jim served as Animal Control Division Manager of Bay County Animal Control from 2008 to 2010 and has been Division Management Consultant to Jacksonville (FL) Animal Care and Protective Services since 2016. Jim is a retired Police Lieutenant with the Jacksonville Sheriff’s Office and a certified Animal Control Officer in Jacksonville, FL. He is also an Associate Member of the American Academy of Forensic Sciences, a Charter Member of the International Veterinary Forensic Science Association, and a Supporting Member of IAABC. Jim holds a M.S. in Veterinary Forensic Medicine and lives in the Jacksonville, FL area. Yvonne Ferguson is the owner and head trainer of Quinte Canine. She is a Canine Good Neighbour (CGN) Evaluator for the Canadian Kennel Club (CKC), Certified Trick Dog Instructor (CTDI) and Certified Stunt Dog Judge with Do More With Your Dog and a Behaviour Consultant and Course Instructor for Canine Foundations. 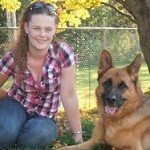 Yvonne Ferguson is the owner and head trainer of Quinte Canine located in the Quinte region of Ontario Canada. She is a Canine Good Neighbour (CGN) Evaluator for the Canadian Kennel Club (CKC), Certified Trick Dog Instructor (CTDI) and Certified Stunt Dog Judge with Do More With Your Dog and a Behaviour Consultant and Course Instructor for Canine Foundations. Yvonne is also an active participant in various dog sports, including Tricks and Scent Detection. Yvonne has trained hundreds of dogs in both group and private classes and has helped countless dogs complete successful, comprehensive science-based behaviour modification programs. She can often be found speaking to groups on various canine topics including ethology, husbandry, learning theory, handling and safety. Yvonne’s ability to infuse fun into professional learning and dog training is of great importance to both the dogs and handlers she assists. 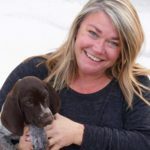 Yvonne holds a Social Service Worker Diploma from Sir Sandford Fleming College and her 10 years’ experience in social work allows her to offer programs and services that meet the needs of both the dogs and the people she works with. She also holds canine and behaviour certificates from the Universities of Minnesota, Edinburgh, Melbourne, and Georgian College. Yvonne is a very active volunteer for numerous not-for-profit canine organizations, using her knowledge and skills for the betterment of dogs and the people who love them. Yvonne lives in the Quinte region of Ontario with her spouse and her dog, Wrangler, a German Shepherd who holds multiple titles and championships in Scent Detection, Obedience, and Tricks. Ashley Foster is a CBCC-KA™ and Professional Dog Trainer who has been training dogs professionally for over 23 years. She is the founder/owner of Complete K-9, which offers force-free, positive in-home behavior and training consultation and group classes and is the co-author of The Healthy Way to Stretch Your Dog. Ashley Foster is a CBCC-KA™ and Professional Dog Trainer who has been training dogs professionally for over 23 years. She is the founder/owner of Complete K-9, which offers force-free, positive in-home behavior and training consultation and group classes. Ashley also provides consultations to veterinary, rehabilitation, and animal-care businesses to develop stress-free and behaviorally sound practices. She has participated in every facet of the dog training field; including performance, conformation and therapy dog training and program coordination, rescue and shelter work, animal care facility management and consulting, group class instruction, and private behavior modification. She contributed to numerous research projects focusing on the human-animal bond and is the co-author of The Healthy Way to Stretch Your Dog, the 2009 Dog Writers Association of America – Maxwell Award Winning, Best Care and Health Book. Ashley shares her life with one aged to perfection Doberman, Breaker, and a German Shorthair, Ducky, who she is training to hunt birds using force-free methods. She received a B.S. in Zoology from Colorado State University and lives on the northern front range of Colorado. Penelope Milne has been a trainer and behavior consultant for more than 30 years. Penny is the owner of DubDubDog Animal Behavior Services and the Training Director for the Animal Keeper/Pet Suites (a small chain of upscale pet resorts). Penelope Milne has been a trainer and behavior consultant for more than 30 years. Penny is the owner of DubDubDog Animal Behavior Services, and the Training Director for the Animal Keeper/Pet Suites (a small chain of upscale pet resorts). Penny is a charter member of the Association of Professional Dog Trainers (APDT) and an Honors Graduate of the Academy for Dog Trainers. She is the author of “Puppies! Why Do They Do What They Do?” and “Kittens! Why Do They Do What They Do” and is a sought after speaker, having presented for veterinary conferences, universities, shelter groups, and daycare providers. Penelope attended the University of California Irvine, majoring in Philosophy and minoring in Psychology. She lives in Laguna Beach, California with Garson the Brilliant, a foster failure Schnauzer, and her human significant other. Leigh Sansone, Esq., CPDT-KSA™, has been training dogs professionally for a decade. After practicing law for 15 years, she shifted focus from special education advocacy to humane animal training. Leigh’s training tips have been published in APDT’s Top Tips from Top Trainers, a compendium of advice from leading trainers and consultants. Leigh Sansone, Esq., CPDT-KSA™, has been training dogs professionally for a decade. After practicing law for 15 years, she shifted focus from special education advocacy to humane animal training. While still practicing law in 2006, Leigh began moonlighting with a pet store chain teaching obedience, where she fell in love with dog training and behavior modification. In 2010, she started her own company, Ruff Customers, consulting privately with dog owners about anxiety, fear, and aggression issues and creating and implementing behavior modification plans. 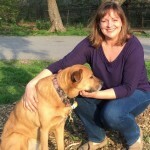 Leigh also works with the ASPCA as a canine behavior consultant. She was a senior behavior consultant for NYC-based therapy dog organization The Good Dog Foundation. Leigh’s training tips have been published in APDT’s Top Tips from Top Trainers, a compendium of advice from leading trainers and consultants. In 2014, Leigh achieved a long-time goal, completing all five Bailey Farhoody Operant Conditioning Chicken Workshops, and in 2015 she returned as an assistant during those workshops. Leigh received her BA from Barnard College of Columbia University, with double majors in Psychology and English, and received her JD from Vanderbilt University School of Law. 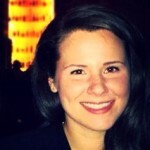 She recently moved from NYC to Atlanta and works with the ASPCA’s Anti-Cruelty Behavior Team. 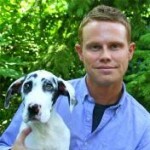 Bradley Phifer, owner of Bradley Phifer Dog Training, is an Indianapolis-based dog trainer and behavior consultant who has helped countless owners live happier lives with their pets. Dedicated to the professionalization of dog training, he divides his attention between CCPDT and his dog training clients. Bradley Phifer, owner of Bradley Phifer Dog Training, is an Indianapolis-based dog trainer and behavior consultant who has helped countless owners live happier lives with their pets. Dedicated to the professionalization of dog training, he divides his attention between CCPDT and his dog training clients. Bradley has been on the CCPDT Board since 2009 and served as President from 2012 through 2017. He has served as Director of Animal Behavior Programs for the Humane Society of Indianapolis, an open admissions shelter receiving approximately 10,000 animals per year, and the Director of Pet Behavior Services for the Broad Ripple Animal Clinic & Wellness Center. Bradley has a passion for learning and regularly hosts and attends continuing education seminars for pet care professionals. In 2003, he successfully completed the Purdue University DOGS! Course. He is a Certified Professional Dog Trainer-Knowledge Assessed™, Certified Behavior Consultant Canine-Knowledge Assessed™, and a member of the Association of Professional Dog Trainers and the Basenji Club of America. Bradley is active in AKC Conformation shows and professionally handles many breeds, including Basenjis, Briards, and Afghan Hounds. Bradley lives in the Indianapolis, IN area. We have a public policy page to give certificants and the public a central place to review the documents that underpin our governance. The documents are updated continuously.